Looking for a unique birthday, Valentine's Day gift from your kids to their Daddy? 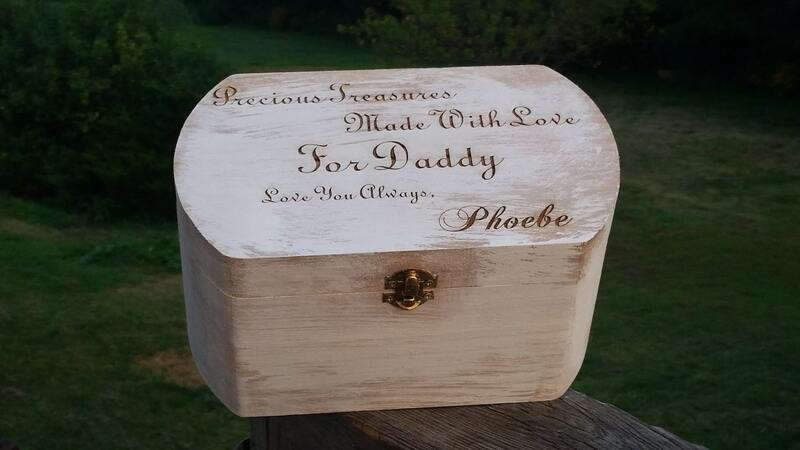 This beautiful personalized keepsake treasury box will make a great birthday, new daddy, or Father's Day gift for the special dad. 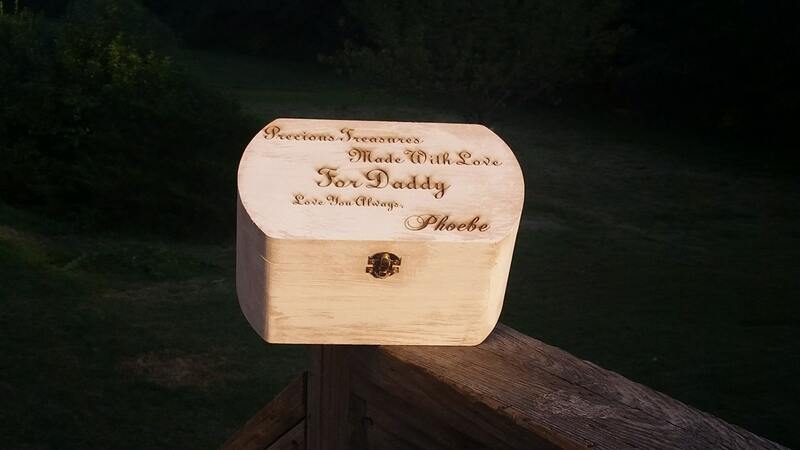 Oh, what a special and unique way for the daddy of your baby to collect his special treasures his baby makes for him! 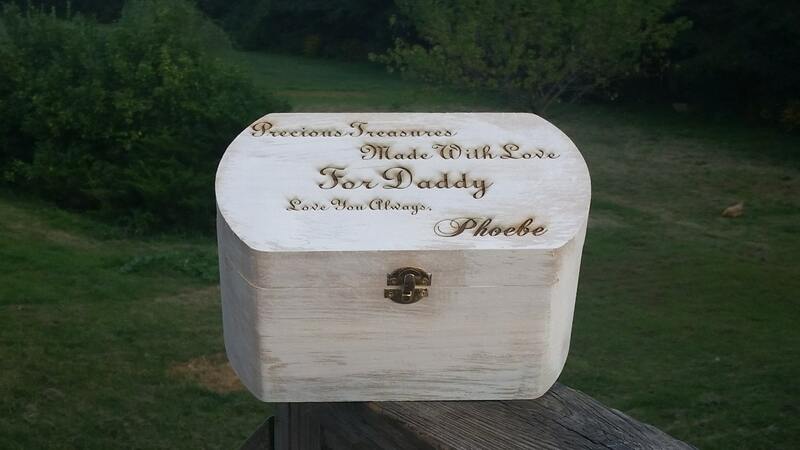 This box can be custom engraved for any occasion. 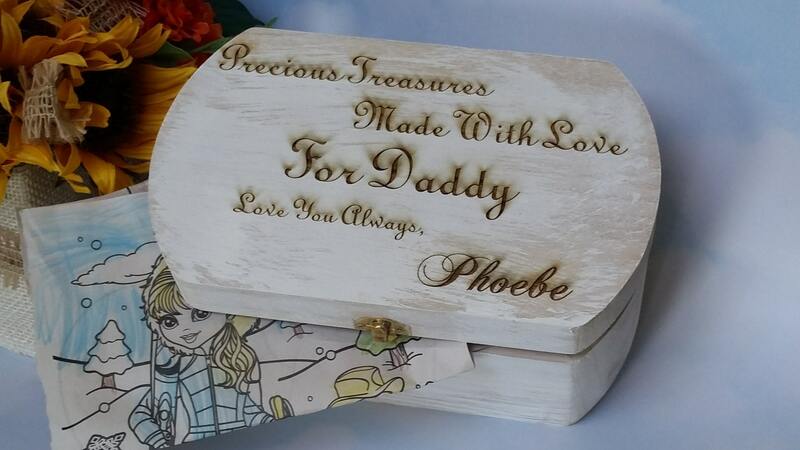 Our beautifully engraved wood box is sure to bring a smile to his face. 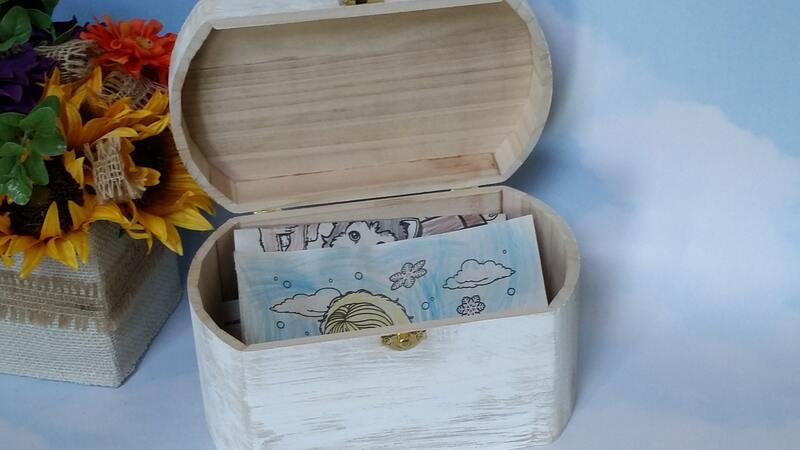 Gift him with this beautiful wooden box set that he can treasure for years to come . Size: 9.75 inch long x 5.75 inch width x 4 inch deep without lid, with lid 5 inch deep.